A hell of a special stage! As announced yesterday by the organizer, todays stage of the Merzouga Rally was not meant to be taken lightly. In fact, narrow uphill tracks, small dunes and camel herb required competitors to be 100% focused and prove their technical driving skills. 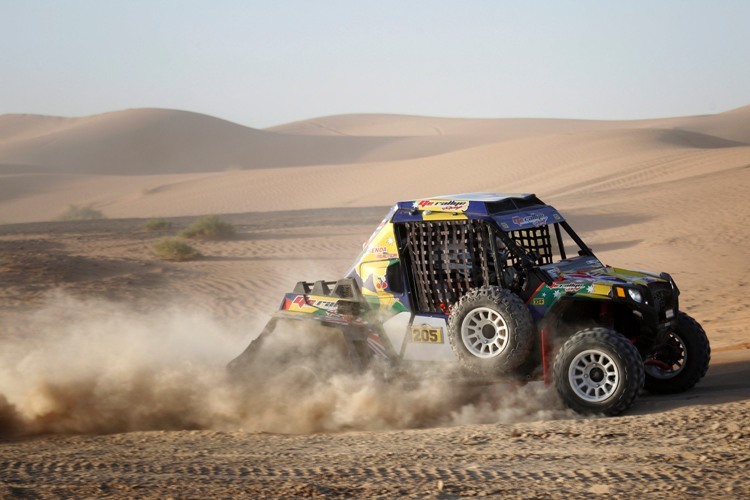 Garry Connell and Annie Seel (N°205) managed to earn their first victory on the Polaris RZR XT+ 900 XP40, leaving an important gap between the second place. This entry was posted in Dakar, Rally, Results, Success and tagged Dakar, MerzougaRally, offroad, polaris, xtreme. First day of the rally included a 130 km warm up with some big dunes. And in the evening a time qualification prologue race. During the warm up we had two flat tyres and also rolled. But no damages or drama. Prologue 7th place, not pushing it. This entry was posted in Rally and tagged Dakar, merzouga, polaris, rally, video, xtreme.